Posted in: Radio Control, Team Associated. Tagged: New Releases, Racing, RC. 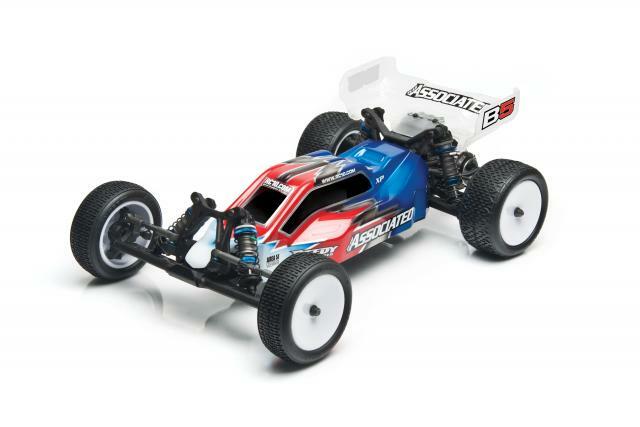 The new Team Associated RC10B5 Buggy is a 1:10 Scale 2WD Electric Off Road Kit that is creating a lot of buzz and many people are anxiously awaiting the late February release. Some of the new features on the RC10B5 are: A narrowed composite chassis. Threaded aluminum Big Bore rings for improved smoothness. A new transmission that has stronger gears, precision ball bearings, and a 14 carbide ball differential for increased life and torque capacity. 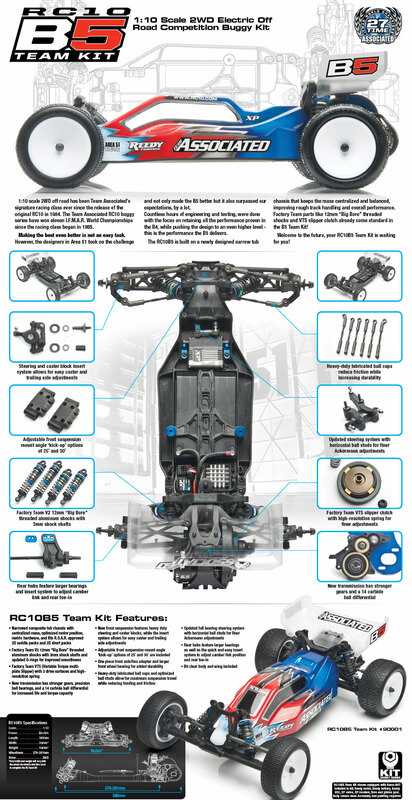 A new front suspension that features heavy-duty steering and caster blocks. The RC10B5 has been designed to take the B4 to the next level, while maintaining the performance qualities of the B4. Check out the video Team Associated has released of the new RC10 B5 Buggy in action.